Hartland Abbey, with its dignified rooms steeped in history and its beautiful gardens and grounds leading to a remote Atlantic cove, is licensed for civil ceremonies. 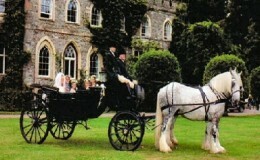 In its magical setting, this North Devon venue provides a romantic and beautiful setting for your very special day. Couples are able to choose from five different venues, including two unusual locations – The Gazebo and The Summerhouse in the 18thC Walled Gardens. Within the Abbey we offer a Victorian Drawing Room, a Georgian setting in the Billiard Room and a Gothic styled Library in the Strawberry Hill fashion. 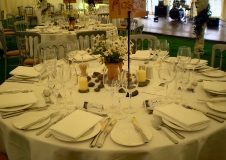 Wedding receptions can be held on the lawns beside the Abbey or elsewhere on the estate. 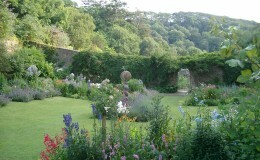 We have hosted Humanist Weddings by the beach and in the gardens. Car parking can be very close to the house and in good weather helicopters can land close by. Please contact us on 01237441496/234 or by Email ha_admin@btconnect.com for a wedding pack or to arrange an appointment to view.